1942 Been cooler today Dutch worked days Today. They are going To start More work. 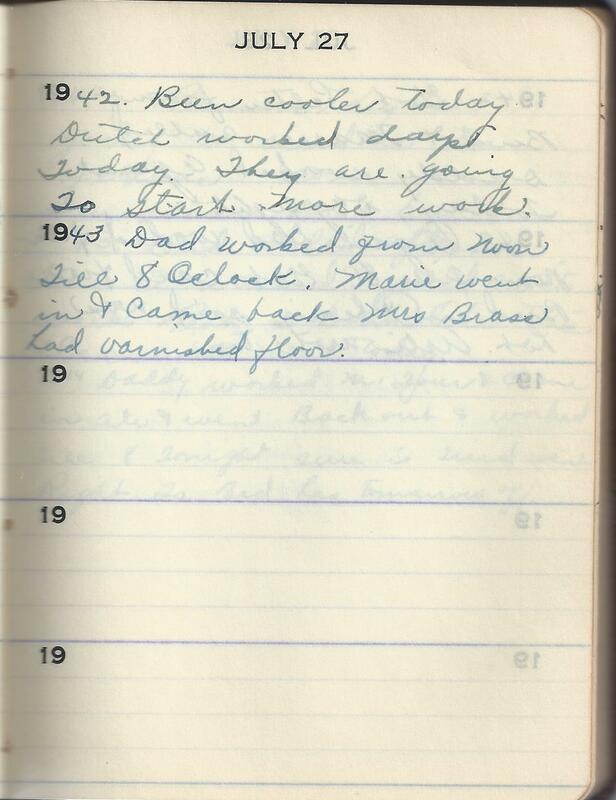 1943 Dad worked from Noon Till 8 Oclock. Marie went in & came back Mrs Brass had varnished floor.